Scales for weighing babies portable, table (Fig) have a tray for loading and unloading of the child. To the movement of children does not interfere with the weighing platform mounted on the movable racks. Such scales are used in hospitals, maternity homes, children's clinics and the manger. 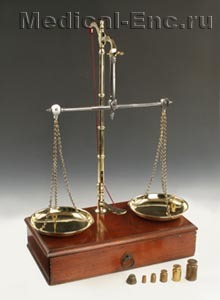 Libra has two scales: the lower, main, with divisions over 1 kg, top - large divide in 100 g, small - through 10, Maximum load these scales - 20 kg of Scales, set on a flat table or nightstand on a plumb. The weight of the child is determined by the sum of indications on the upper and lower scale. Loading and unloading of scales is carried out at the closed locking. After weighing weights are set at zero position. Scales store in a dry place, periodically cleaned and disinfected 0,2% solution of bleach. Every two years the scales should be transported to the establishment of the Committee of standards, measures and measuring devices for testing the accuracy of readings. Article about the selection of children's scales. What to pay attention when they are selected. It is the joyful day when you and your newborn child returned home. Behind the difficulties of pregnancy and birth pain. Ahead - the happiness of motherhood and, of course, maternal care. One of the main issues of a young mother - well if the baby is gaining weight? No wonder, because in this parameter, you can determine whether enough baby breast milk in the order whether the health of the newborn. In the first months, it is very important to monitor the increase, or Vice versa, is a shortage weight babies. Therefore weigh once a month - in a children's clinic, is not enough. Caring parents will puzzled by buying your own children's scales. And here the question arises - how to choose the right? Baby scales are divided into mechanical and electronic. Some physicians are conservative in children's clinics still prefer good old mechanical scales, weights, you need to move on metal scale. Measurement accuracy is of course guaranteed. But the house of mechanical scales to use uncomfortable because of their great weight. Yes, and to use them will not everyone. 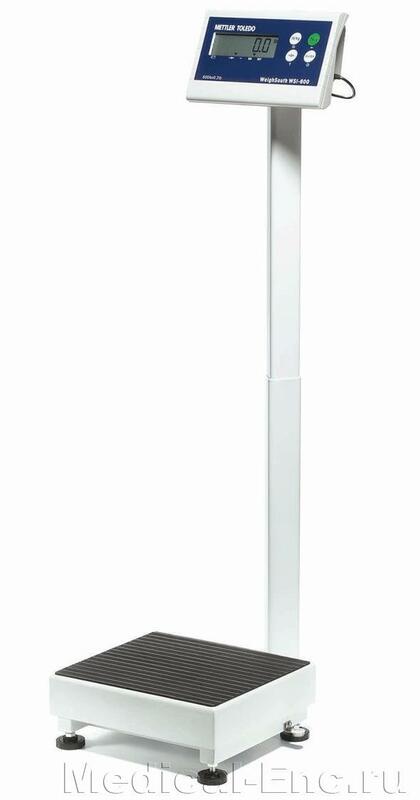 Mechanical scales, where the weight indicated by the arrow on the dial, it is more convenient, but not very accurate. Most modern of parents to choose all the same e baby scale. These scales accuracy fine, and other functions set. Electronic scales are light, have a nice appearance and small size. If you want to use baby scale and growth of your baby, then choose the model, where you can rent a special bath for weighing babies. After executing this simple procedure scales become customary floor. Your baby is very active and does not want to be at one place? Choose a model with a "Hold"function, and the weight of egozy will be recorded accurately, despite its turbulent motions. If you wish to have an accurate picture of the weight gain of the child for a few months, you can purchase a model that calculates the change of weight of a baby in comparison with previous measurements. handy shockproof case for storage. There is an opinion that electronic baby scale, many can not afford. But it is not so. There are models that parents can buy without a strong financial costs. For example, you can purchase the scale of domestic production or import baby scales of economy class. The price of baby scale for home use varies from 3000 RUB. to 5000r. For this price you can buy Chinese scales Maman, Italian Laica, Russian Sasha, Japanese Tanita. 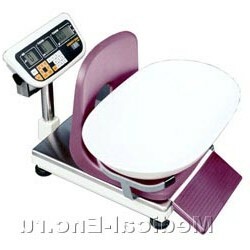 The last of these firms also offers professional baby scale, which mainly use medical facilities. Their cost varies from 25 000 RUB. up to 30 000 RUB. If you really appreciate your child's health, you can purchase such a scale. They have a high precision weight measurement (up to 2 grams), the function to connect to the computer and bath increased size. 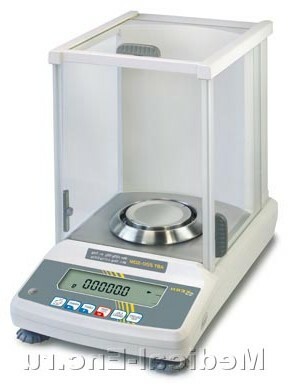 Deficiencies in electronic scales are not many, but they are. First, the plastic tray for weighing can be fragile. Maybe it makes sense to think about purchasing scales with metal pallet. Secondly, scales, running on batteries, may be too frequent replacement batteries. Of course, under condition of their constant use. In this regard, better scales, working from the network. But it is important to follow the absence of voltage spikes on the network, to avoid damage to sensitive electronic mechanism. Check the surface on which you place an electronic scale. It should not be wet, it's dangerous! Think twice before choosing scales for your baby! Newborn weighs only a few pounds, and important each increase, even in a few tens of grams. Buy baby scales and weigh your happiness!